The VIP of Cleveland seafood restaurants. 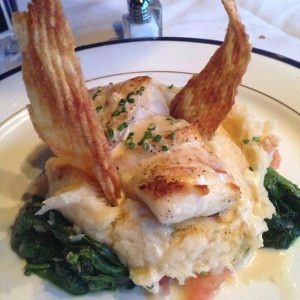 Blue Point Grille features great food, great service and elegant ambiance. Now, this isn’t likely the place for a casual Friday night out. It is the place, however you might find yourself for a celebration or business meeting. The prices reflect the high grade food and atmosphere. 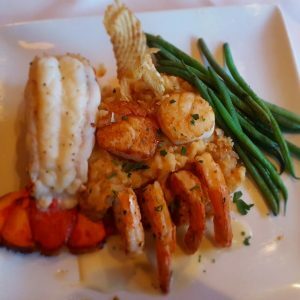 The dinners range from the $24 “Coleman Farms Double Chicken Breast” (served with carrots, spinach, roasted potatoes) to the $75 “Steamed Jumbo King Crab” (a 1 1/2 pound crab served with roasted potatoes, asparagus). The menu has does feature more affordable options for the appetizers, salads and soups. These range from the $8 “Roasted Tomato Bisque” (served with gorgonzola, herb croutons) to the $25 “Alaskan King Crab” (half pound, served with honey mustard). They have great options at just about every price in between like the $16 “Ahi Tuna Tartare” (served with wasabi-avocado mousse and sweet potato chips) or the $12 “Heirloom Beets” (served with apple, onion, cucumber, greens, pumpkin seeds, buttermilk dressing). The friendly staff can really break down the extensive menu as it can feel a bit daunting at a first glance. They are all very informed on how the food is prepared and can talk you through how to customize some dishes to make sure that you have the best all around experience. Their expertise also applies to their vast wine list. 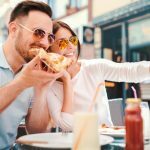 It is likely as soon as you are seated and comfortable, your server will come over and talk you through the option and even drop some of their favorites for you to try. Many say the best part of the ambiance is the small touches that the staff do to make you feel more at home and in good hands. Being nestled right in the busy W. St. Clair stretch of the Warehouse District, it makes for a great place to meet clients or business associates for lunch. It’s very central in the area and is neighbor to many of downtown Cleveland’s office buildings. 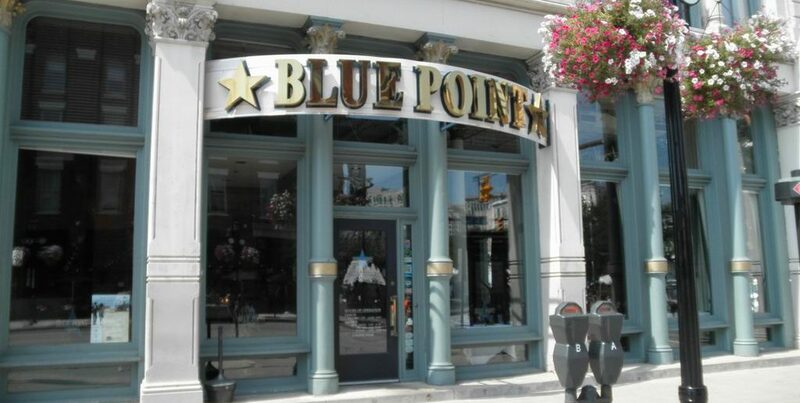 Blue Point is open for lunch Monday through Friday from 11:30 am to 3 pm. They reopen for dinner at 5 pm and remain open until 10 pm, Monday through Thursday. On Friday and Saturday they stay open until 11 pm. Sunday they are open 4 pm to 8 pm. It is important to note that business casual dress is required and that a reservation is highly recommended. You may be able to sneak in for lunch, but if you are a planning on stopping in for dinner (especially with a larger group), you should really call in a reservation to be sure you can get seated and served in a timely manner. This is truly one of the best places in Cleveland to share a celebratory dinner. The food will delicious, the atmosphere gorgeous and the staff attentive and kind. Stop in at the Warehouse District location at 700 W St Clair Ave. Suite 200 Cleveland, OH 44113. Contact the restaurant by phone at: (216) 875-7827 or visit the website here.